Growing up, everyone has a time when they wet the bed. Whether they are a toddler or older child, it’s something that is almost a milestone in growing up. But it gets old both as the child and as the parent. With our oldest, we had the rule of no underwear until she had at least a week of no accidents at night. It worked perfectly in a short amount of time; probably around a month or less. But having more than one child means we see more than one side of this story. One of our kids took a few years of trying to be completely successful with this strategy. So learning a few extra strategies is helpful when finding what works for each individual child to solve the bedwetting problem! 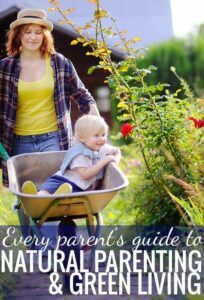 As parents, we are always looking forward to the day when our kids stop bed wetting completely. Such simple triumphs as successful potty training bring joy to our hearts. There is no telling when our kids will stop bed wetting and it ranges widely from one kid to the other. However, when older children still continue to wet beds, it is time to act decisively so that we can assist them to stop as it quickly becomes an embarrassing thing for them. It’s important to make a good faith effort in order to preserve their self-esteem. Many times children that have too much sugar in their system are more likely to struggle with wetting the bed. This is predominantly because of an increase in UTIs and other bladder/kidney functions. It’s not always the case, but if you think your child could use an adjustment in their food intake, it’s definitely not going to hurt! Keep a journal: Could it be stress, anxiety, or something else? Bad dreams, deep sleeping habits, anxiety, and other factors can play into whether a child wets the bed more often than a peer. And sometimes it’s just a trigger every once in awhile instead of nightly. Of course the bigger issues of anxiety should be discussed with a health care provider, but at least being in tune with your child to try to spot triggers and stressors that lead to more or less bed wetting could help unlock new ideas! So journaling the incidents is an easy way to try to narrow down solutions. There should be no fluids for the kids right before bedtime. This will keep their bladders empty and reduce the consistent urge to urinate at night. They should especially avoid fluids such as coffee and tea as these have diuretic properties that will make them urinate more. We personally try to not drink a lot of water about an hour before bedtime and after. Before they go to bed, encourage them to empty their bladders. You can have them do this a number of times to ensure that they do not have urine in their bladders and this might reduce the instances of waking up or urinating at night. Bladder control techniques are designed to enable them to hold urine for longer periods of time. Bladder control exercises should be done during the day. Have them try to hold going off for the longest possible time. When they do so repeatedly, their muscles will develop well and they can be able to hold urine until morning. Do not place older kids in diapers if at all possible. This will be extremely embarrassing and it will not do much justice to their self-confidence. Instead of diapers, you can have them sleep in clothes that have good absorbing capacities. You can get some waterproof underwear or plastic pants. This will help reduce mess they would make on their beds. They will wake up feeling uncomfortable in those clothes and it might assist in reducing their frequency of bed-wetting. They also make great under-pads for that can go either on top of or underneath sheets to help with messes as they arise. You can set alarm at different times of the night and wake them up to go to the bathroom. Or if they have a fairly early bedtime, simply make sure that it’s the last thing you do before going to bed yourself. 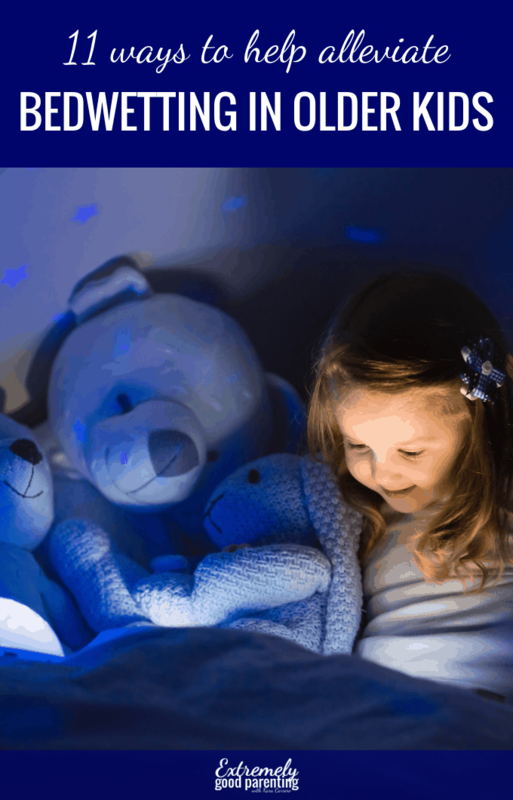 Having to wake multiple times in the night together could be challenging for both of you, but it can be a very effective undertaking in reducing bed wetting among older kids. Herbal teas are amazing when it comes to reducing instances of bed wetting. However, make sure that they do not take the herbal tea right before they go to bed. A concoction made of horsetail, bearberry, cinnamon bark, and oak bark can help prevent the flow of urine while sleeping. Though even trying just one might be of help as well. Where to get the tea – as affiliates we earn from qualifying purchases. Remember you can brew together, separately or even find some tinctures to add to a glass of water. Have an open discussion about the issue with them. You might find that they bed wet because of something bothering them and things change for the better when you fix that. Whenever they wake up dry, celebrate them. Do not punish them when they bed wet. They will be looking forward to the days you will be celebrating their triumph. Let them know that it is a common issue and they should not be too worried about it. Encourage them to keep trying and soon enough everything will be okay. If the problem persists, you might consider looping in advice and consultation of a pediatrician or family doctor. They might come up with solutions that would take care of the problem faster or even just reassure you if you’re worried. Just remember that all kids develop at different rates, and developing the muscles to hold urine all night long takes time.